Page is a small town in Northern Arizona located on the shores of the stunning Lake Powell. Page is perfectly located for exploring many of the American Southwest’s renowned national parks and monuments which are all just a short trip from Page. On a recent trip Las Vegas, we rented a car and headed for Page to see as many of the national parks and monuments as we could in just three days. Here are a few of the wonders that await you from Page, Arizona. Glen Canyon National Recreational Area was established in 1972. 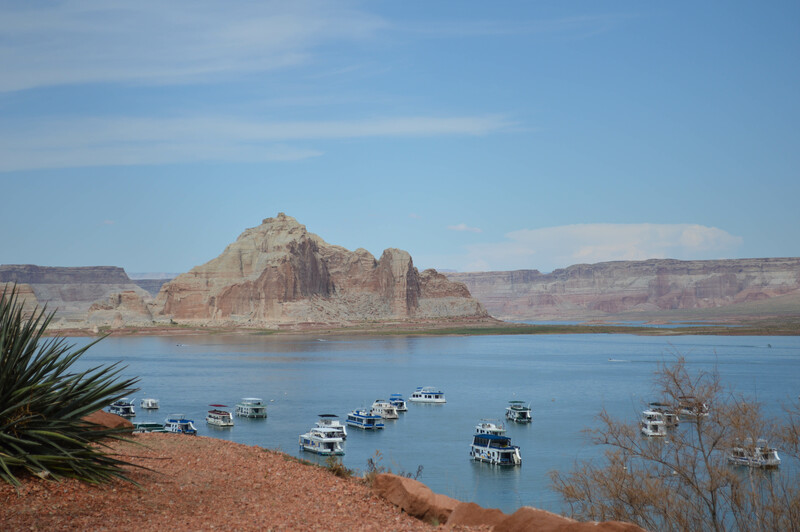 The creation of Glen Canyon Dam on the Colorado river allowed Lake Powell to emerge. The lake and desert-and-canyon country land offer leisure time activities for all. I spent my evening admiring the masses of concrete at Glen Canyon Dam and cooling off in the swimming beaches of Lake Powell. The water is warm and the sandstone backdrop to the lake is pretty impressive. This view can be best appreciated from Wahweap lookout. Just a few miles outside of Page and downstream from Glen Canyon Dam is horse shoe bend, my favourite sight so far! The horseshoe shaped meander of the Colorado River has carved a view not to be missed. I got there early morning when shadows were cast at the front of the bend, i think late morning would provide the perfect postcard photo! It can be accessed on foot by an approximate 1.5 mile round trip. Be careful though, it’s a long way down! 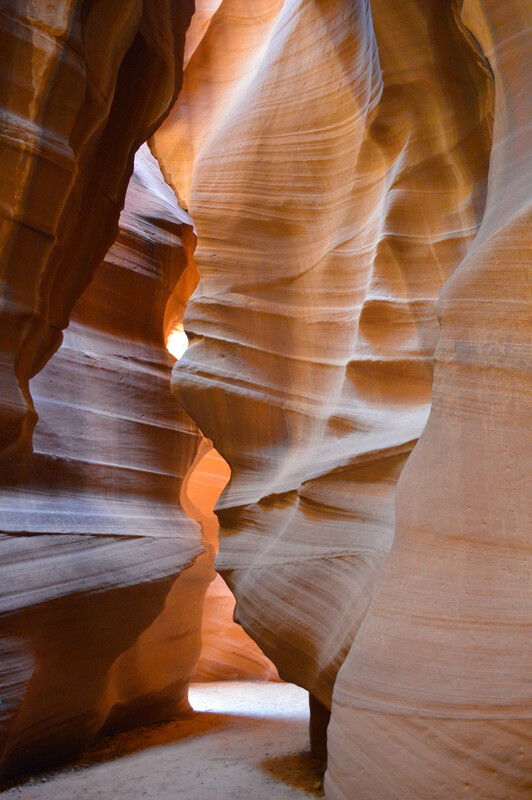 Antelope Canyon is a slot canyon located on Navajo land a few miles East of Page. Created primarily due to flash flooding and the erosion of Navajo Sandstone creating a series of corridors and passages. We chose to use a tour company to visit Upper Antelope Canyon for ease, otherwise you have to pay the entrance fee and tour guide fee anyway. I can highly recommend Antelope Slot Canyon Tours by Chief Tsosie. We took the mid morning tour which is the most popular, you should expect crowds. This is the most popular tour as it is the perfect time to witness the mesmerizing light beams that pour down through the Canyon ceiling. As you meander your way through the canyon the walls change colour before your eyes. Colours of cold stone to bright orange, red, purple and pink emerge from the shadows. Soft lines and ripples in the stone create the illusion of waves. Monument Valley lies in Utah, but is only a 2-2.5 hour drive from Page and totally worth a visit! A number of monstrous free-standing rock formations (sandstone buttes), that completely defy gravity, erupt proudly from the scorched Navajo region floor. 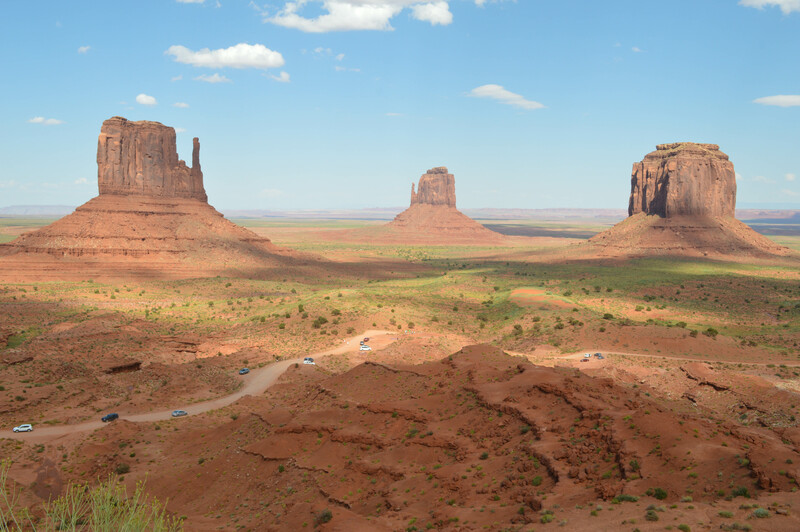 Monument Valley can be viewed from the visitor’s centre or on a 17 mile unpaved loop road. Lastly, another 2-2.5 hours from Page lies one of the seven natural wonders of the world, The Grand Canyon. 277 river miles long, up to 18 miles wide and 1 mile deep there is no doubt the sheer size of this rugged landscape will take your breathe away. 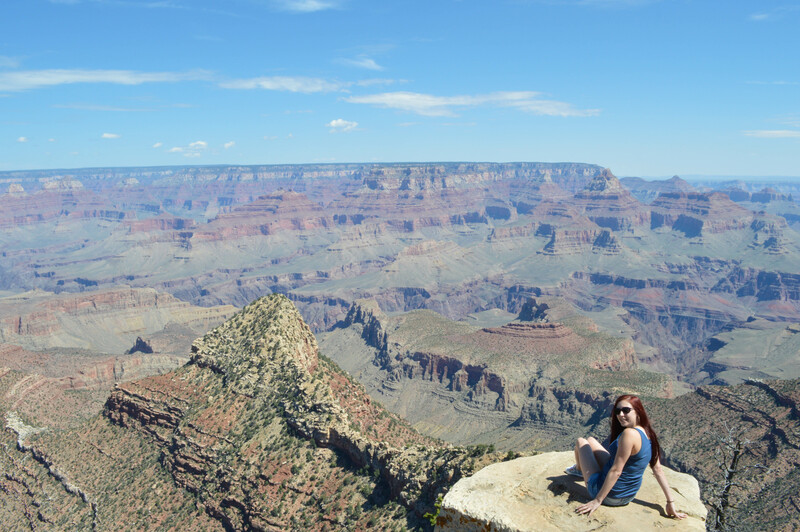 The grand Canyon National Park can be accessed by car on the South Rim or North Rim or via helicopter ride from Las Vegas or various surrounding airports. Having your own car means you can stop at many of the view points the park has to offer including the Desert View Watchtower. If you love the great outdoors and want a unique US road trip experience, make Page, Arizona your next travel destination. Posted on August 28, 2015 November 8, 2016 by GypsylifePosted in North AmericaTagged america, antelopecanyon, arizona, Globetrotter, grandcanyon, gypsy, lakepowell, nomad, thisisasia, travel, traveladdict, travelblog, usa. Previous Previous post: Why everyone should give teaching English in Thailand a go.